Kentucky Ancestors Online | History Mystery: Come to the Fair! History Mystery: Come to the Fair! 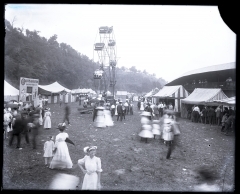 History Mystery: Summer Picnic or Fair?